In 2018, more than 20 members of Ohav are actively engaged in volunteering to aid refugees and immigrants in Albany. We have members who are giving hours of their time each month to help two large refugee families from rural Afghanistan acclimate to life in the U.S. Ohav members also volunteer at the United States Committee for Refugees and Immigrants – – USCRI, one of our local immigrant aid organizations. And, another group is preparing to teach a computer literacy class at the new Refugee Welcome Center. Our shul’s assistance has yielded some significant accomplishments. All the members of both Afghan families have obtained Green Cards, enabling them to work and lead productive lives in the U.S. 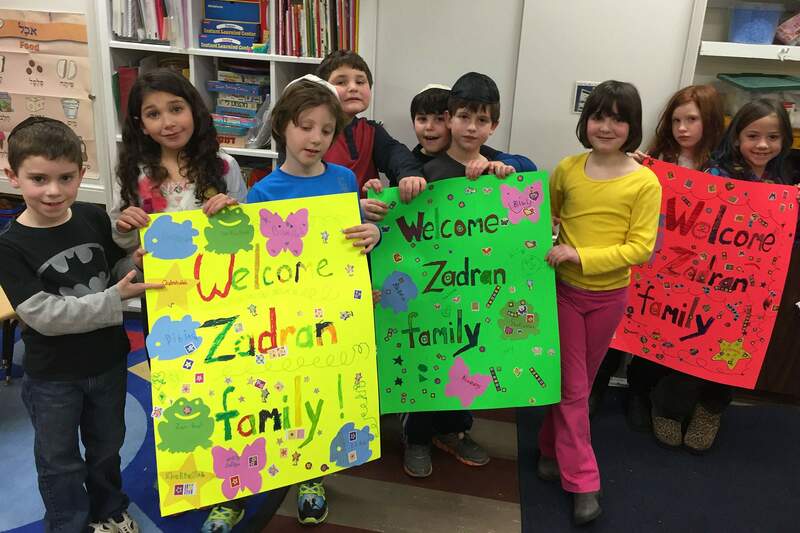 This was made possible through the help of congregants and others who drove the family to immigration and fingerprinting appointments, as well as the generous support of our Rabbis Discretionary Funds. In addition, our B’Yachad 8th graders raised money to send five of the children to day camp for a week during the summer of 2018 – – an experience that is the highlight of their year. Overall, the families are doing well, benefiting from regular health and dental care, and making progress in school. We are particularly pleased that our eldest high school student has passed four Regents exams after less than three years in this country. Ohav volunteers are working hard to help the families navigate our often-confusing education, employment, banking, and health care systems. But it’s not only about work items… they also try to provide some recreational outlets and tutoring when time permits. You can help! Volunteers are needed to schedule and/or drive families to medical appointments, even once a month. The families also need English and Algebra tutors. If you are interested in participating as a volunteer or if you have a lead on part-time employment, please contact: Karen Lipson, Iyse Weinstein, Wendy Kay, or Pam Smiler through the Ohav Office, or simply complete and submit our Volunteer Form.